Ximula Sail's history started when a childhood dream of sailing around the world came true for the explorer-at-heart, TC Wong. After dedicating almost his entire life to building his wardrobe systems business as the sole breadwinner of his family, Wong was finally able to fulfil his dream with the arrival of his sailing catamaran, Ximula in September 2013. Since then, many of his staff, business associates and clients, family and friends, have sailed aboard Ximula around Singapore, and even to many destinations within Southeast Asia. Did you know? Within the first 3 months of Ximula's arrival, the Wong family has sailed her on a one-month expedition from Singapore to Phuket, Thailand. When more friends and friends of friends came to hear about our sailing expeditions, we were surprised to realize that many Singaporeans are still unaware of such a nautical lifestyle despite our island country being surrounded by sea. At that time, most yachts were owned or chartered by our Western expatriates, instead of locals ourselves. Ximula Sail was founded in June 2014 by a father-daughter team. 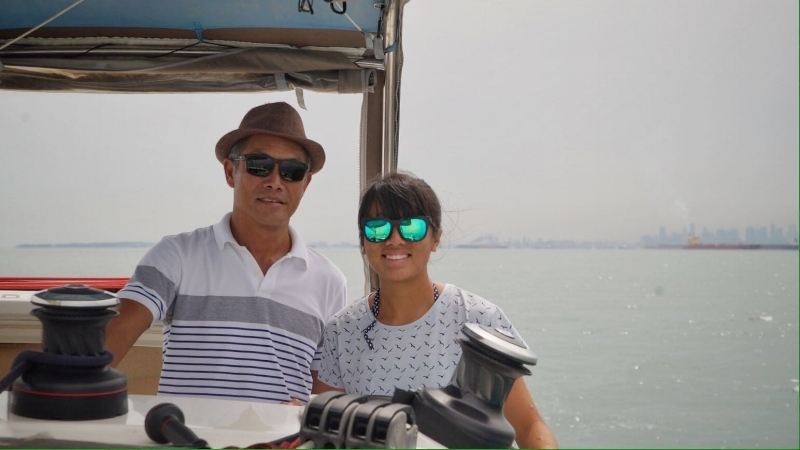 Determined to reach out to and inspire more Singaporeans to get out on the water, TC Wong and his daughter, Minqi Wong, started Ximula Sail and hosted our first yacht charter in June 2014. With father as skipper and daughter as crew, we've had the opportunity to meet and be inspired by the kindest and warmest guests on board our yacht. We celebrated birthdays, anniversaries, bachelor’s/bachelorette parties, team outings, weddings, and all sorts of occasions together with our guests. Many of our guests have become an integral part of the Ximula Sail community. Over the years, Ximula Sail’s yacht charters grew organically with the support of many wonderful friends, clients and guests, who helped to spread the word about Ximula Sail, gave us valuable ideas on how to improve our service, and treated us like family. A sailing expedition to Koh Samui in June 2016 became a turning point for Ximula Sail. 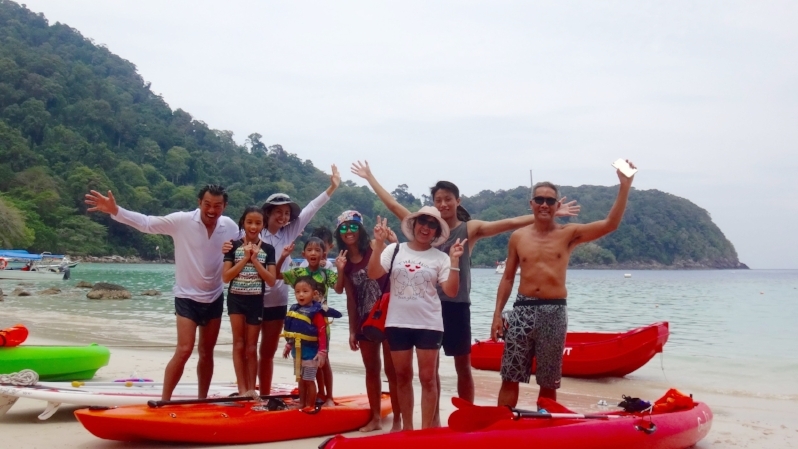 In June 2016, the Wong family onboard Ximula embarked on another one-month sailing expedition to Koh Samui, Thailand, together with our neighbour, the Lim family onboard Gracefully. Gracefully is owned by TV celebrity couple, Darren Lim and Evelyn Tan. The couple, together with their 4 beautiful children, lived onboard Gracefully, and has been often interviewed by the media (and many curious fans) about living on a boat and homeschooling their children. During the expedition, TC Wong and Darren Lim shared about their dreams of growing the sailing community in Singapore. With Darren's gift in connecting with people easily, he wanted to share his passion for the sea and educate more people about the wonders of sailing. In January 2017, Ximula Sail officially welcomed Darren into the family, as a business partner to Minqi. And in June 2017, Gracefully officially joined the Ximula Sail fleet. Other than being a skipper, Darren also helms the development of educational programs, such as our Experiential Sailing Program, conducted on board our yachts. Ximula Sail expanded its fleet and team in 2017. At the same time, as the business grew, we are fortunate to recruit 2 new team members: Asyranni, our skipper, and Victor, our crew, who both play a significant role in ensuring Ximula Sail's smooth operations and delivering a memorable experience for all our guests during charters, while TC Wong retires from his role at Ximula Sail to continue his dreams of sailing around the world aboard his other sailboat, Ximula II. As Ximula Sail evolves, our promise to host every guest with warmth and hospitality still remains strong today. Service: We work very hard to deliver the most hassle-free and memorable experience from pre- to onboard to post- charter. Hospitality: We put a lot of emphasis on welcoming and hosting our guests with warmth, with stories, and with our passion for the sea, making sure every single guest feels at home on board our yachts. Sailing: We pride ourselves on being the only yacht charter company in Singapore that incorporates sailing as an integral part of our experiences. We are not professional sailors, we are just a bunch of people who fell in love with sailing. And you will, too. None of our team members are professional sailors; each one of us picked up sailing from someone else (each other, to be exact! ), and fell in love with this art - the art of harnessing the power of nature, the art of paying attention to wind, to waves, and to tides, and the art of embracing what nature has to give. Sailing is not a sport reserved for the privileged or the talented, it is an art that you and I can appreciate. You don't have to be a sailor, but anyone can embody the traits of a happy sailor. We hope that through our everyday interactions with the people we meet, our guests connect with and are inspired by the way we live and breathe these values. With these values, we seek to make every experience on board a meaningful and enriching one for everyone. Other than enhancing our regular charters with sharing of knowledge and stories, we are also expanding our range of experiences to include more educational programs, sailing holidays, and community events. Every day at Ximula Sail, we connect with people, we explore sailing destinations, and we design experiences. We endeavour to build a strong sailing culture and lifestyle in Singapore and beyond.